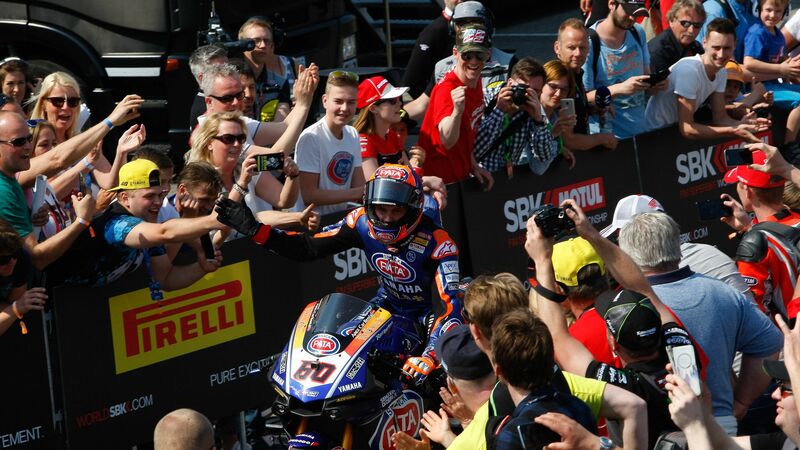 'The Cathedral' of motorcycle racing as it is known colloquially, Assen has an almost unrivalled history in motorsport, being the only venue to have held a round of the MotoGP™ World Championship every year since its creation in 1949. 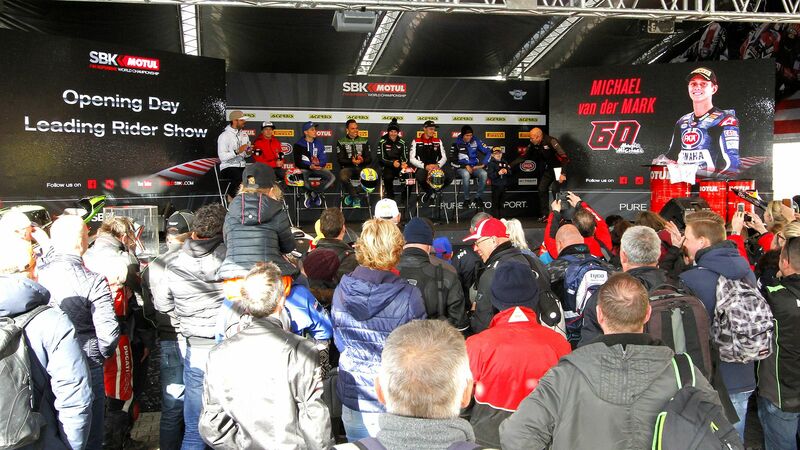 It has also been hosting WorldSBK races since 1992, and celebrated its 25th anniversary as a Superbike venue in 2016. 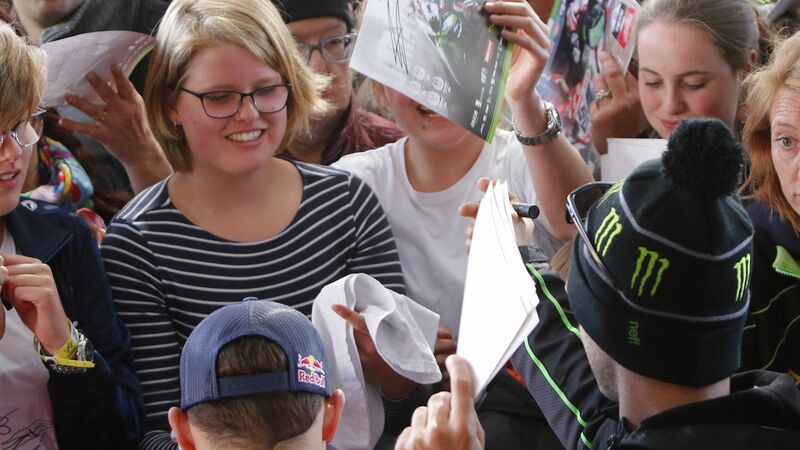 Assen is a big favourite with the riders given its prestige and race weekends are thoroughly enjoyed by the fans as they revel in the festival atmosphere. All tickets include free access to Paddock and Pit Walks. Parc Ferme & Podium in the Paddock. Children under 15 have free access. 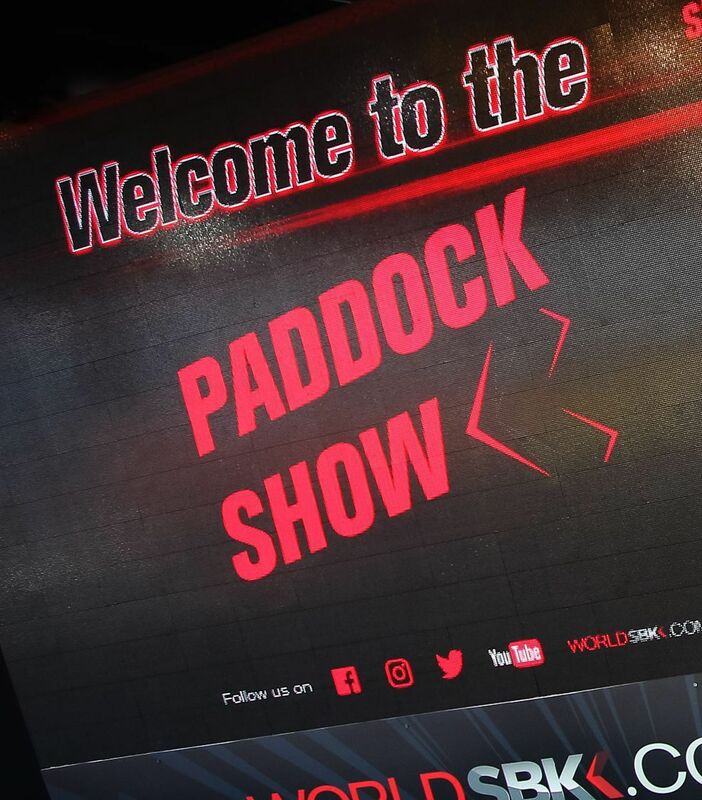 Exclusive to WorldSBK, the Paddock Show is back with more opportunity to meet the riders, win official WorldSBK goodies and a SuperShow on Saturday. 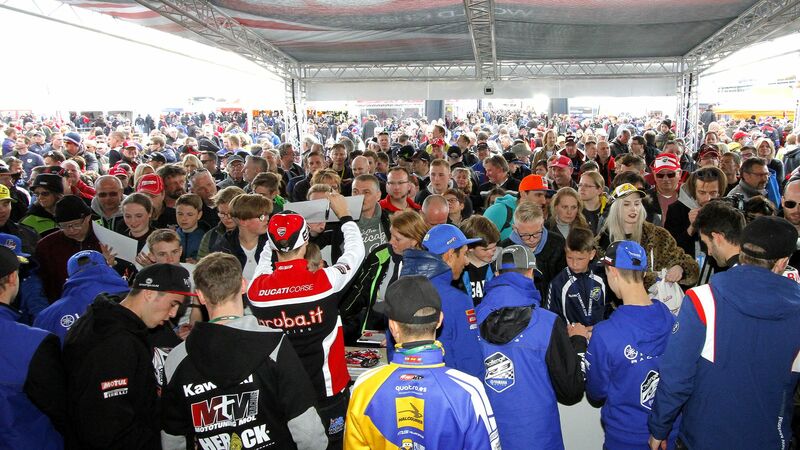 More than two hours of entertainment involving riders from all classes, you won’t want to miss any of the on-stage action and autograph sessions. Live Commentary for all sessions from Friday till Sunday & Chat Show with special guests. Schedule subject to changes/cancellations. Follow PA announcements. PARC FERME & PODIUM in the Paddock for all Tissot Superpole and Races. MOTUL ACTION BOX: Saturday and Sunday; Motul welcomes you at the Action Box (Pit Box N. 9) to enjoy the action from the Pit Garage. 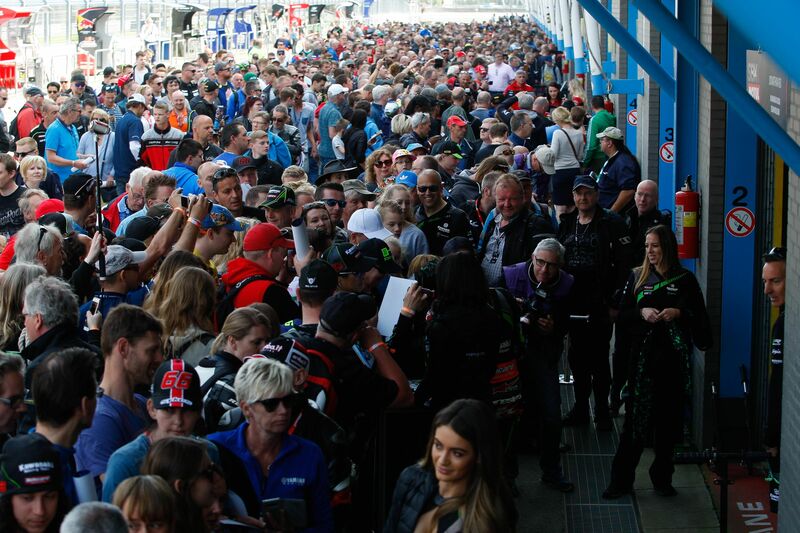 SATURDAY 15:50 – 16:20 h Pit Lane Gate closing time 16:15 h.
SUNDAY 10:10 – 10:30 h Pit Lane Gate closing time: 10:15 h.
Activity with limited capacity, get your free access wristband at the Circuit Info Point located in the Fan Zone. FREE PARKING: Parking is free for cars and motorbikes. HELMET GUARD: Friday to Sunday; Special helmet guard service is available to all fans (behind the Main Grandstand). 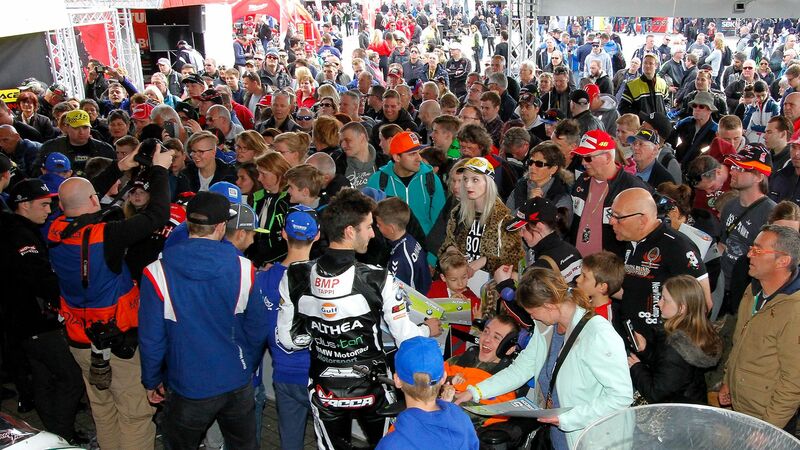 BUS SHUTTLE FROM ASSEN CITY: Friday to Sunday; there is available Bus from the Assen City Station to the TT Circuit Assen and return. 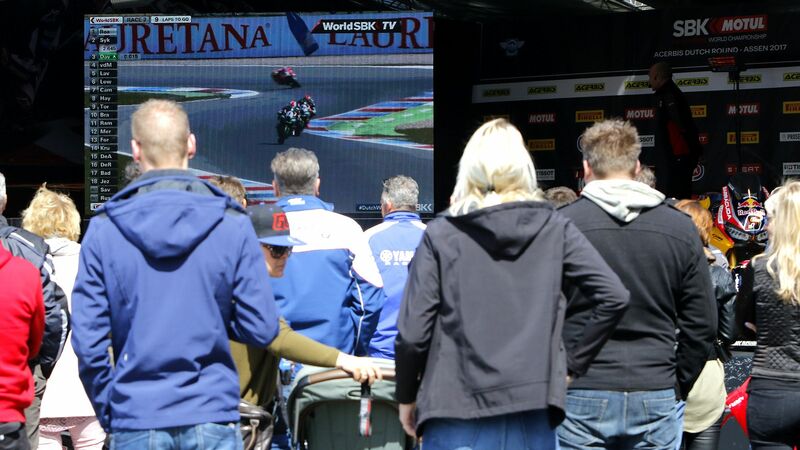 WorldSBK heads to Assen in April when the average maximum daily temperature is 13°C (55°F) and average minimum is 6°C (43°F), though if it is towards the end of the month it may be warmer as the Dutch weather improves a lot going into May. Showers and cloudy skies are not uncommon at this time of year so pack a good coat. The Netherlands is famous for many things, and only a visit to this unique country will give you a true appreciation of the openness and quality of life in this proud European nation. 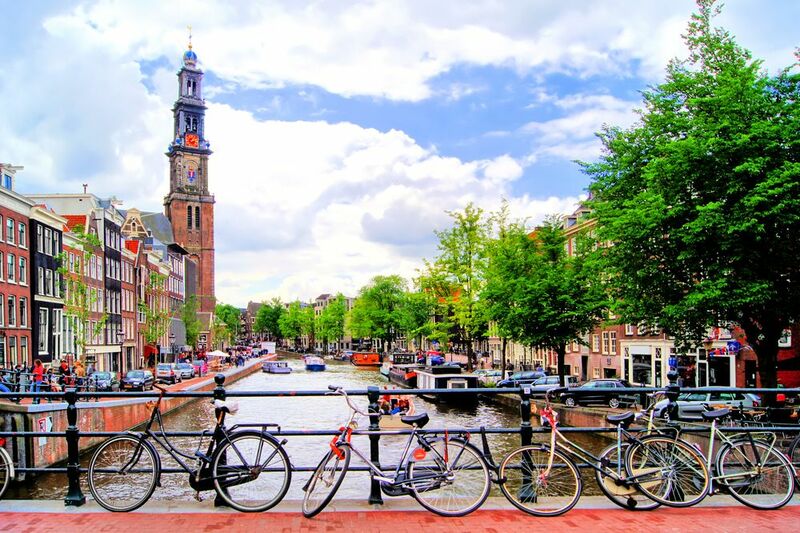 The biggest Dutch city, Amsterdam, is famed for its thousands of cyclists, its intricate canal network, its rich history fuelled by centuries of epic sea-faring and trade, its many museums and galleries and its colourful nightlife. Beyond Amsterdam in large cities such as Utrecht, The Hague and Rotterdam there is also plenty of local pride on display, whilst away from the urban centres you will discover quaint little towns with centuries of history. 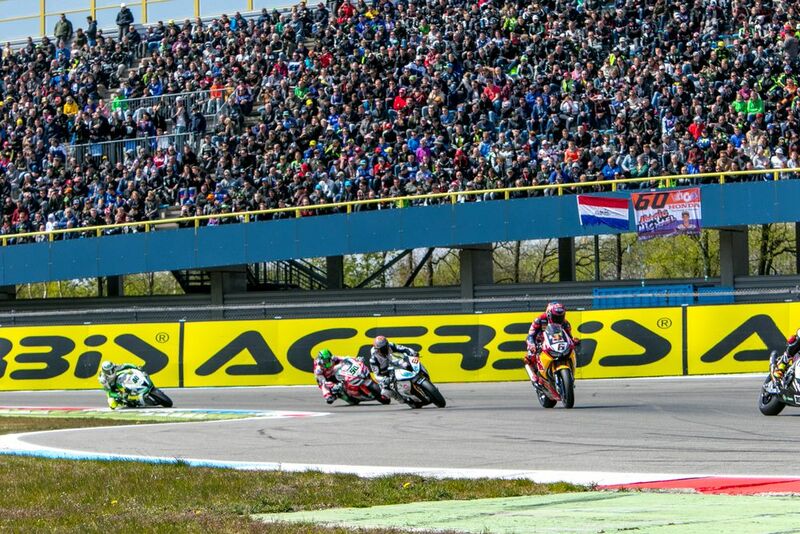 For those wishing to stay close to the TT Assen circuit there is plenty of choice in terms of accommodation, from campsites, to bungalows (rented apartments or cottages) and of course hotels. 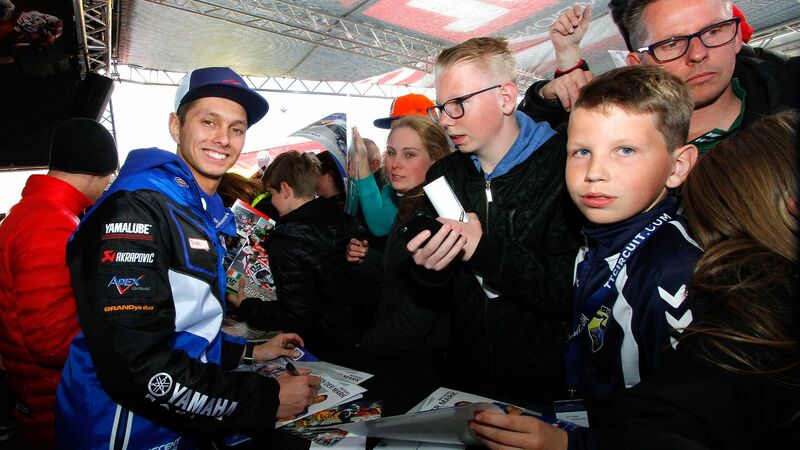 There is a lot on offer in and around the city of Assen itself, which is a decent size and has a population of just under 70,000 people and does get very busy around race weekends. The nearby larger city of Groningen is an easy 30 minute drive from the circuit, offering an additional range of hotels and accommodation options. It also has a buzzing city centre, especially at weekends and is a good place to stay if you want to party late after a day at the track. Assen is a fun place to visit and the best streets for shopping and people watching include Kruisstraat, the Mercuriusplein and Koopmansplein. There is also a nice local market in the city on Wednesday and Saturdays. The city’s Drent Museum can be found in a spectacular looking renovated old Government building, housing an extensive collection of archaeological pieces and an array of artifacts demonstrating the centuries of rural life which have unfolded locally. 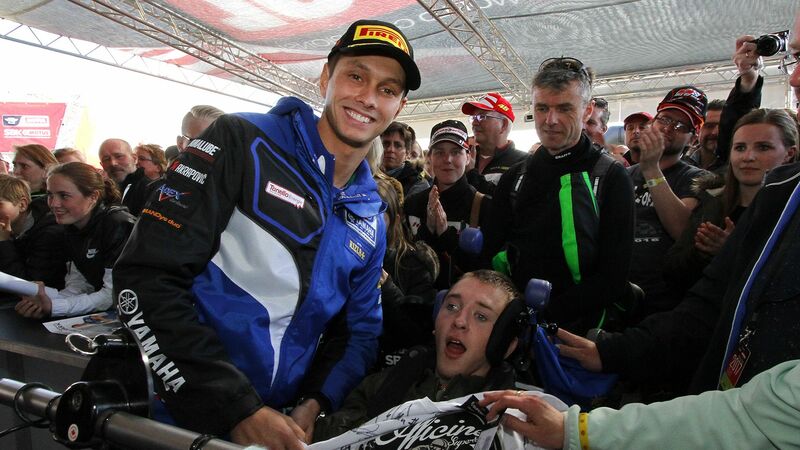 Assen’s story can be traced back to the 13th Century so there is plenty of history to be demonstrated. Hire a bike and ride around the city which has lots of green spaces and parks, then head out into the Drenthe countryside along signposted routes or just following your nose. Touring the local villages by bike is a pleasure and almost every road in The Netherlands is cycle friendly. A short journey north by car, motorcycle or train is Assen’s biggest neighbouring city Groningen. This is another stylish, laid-back, interesting Dutch city and at roughly three times the size of Assen it has plenty to offer. Groningen has a large university and a youthful feel to it in terms of art, culture, museums, theatre, music and nightlife. As well as being pleasant to travel around over short distances by bicycle, the Netherlands’ public transport and the national road network are excellent and Assen and Drenthe are no exception to the rule. Buses and trains run on time and are reasonably priced, for short journeys and for longer trips to and from other parts of the country, so take advantage and use them if you can. If you choose to drive yourself, or to ride your motorbike, you will find Dutch road users to be courteous and respectful. Make sure to try some traditional Dutch delicacies whilst you are in the Assen area, though remember that the locals eat lunch and dinner earlier than in southern Europe for example. There will be plenty of cheese and meat platters on the menu, though you can also try Dutch asparagus, Erwtensoep (green split pea soup), Bitterballen (deep-fried breaded meatballs with a savoury filling - traditionally beef) and stroopwafel, for a sweet treat. Good beer and decent coffee are always easy to find as well. Carl Fogarty was the absolute master of Assen during his time in WorldSBK, registering an incredible 12 victories at the circuit. Meanwhile, former double World Champion Troy Corser never won a WorldSBK race at Assen, despite having run 30 races at the circuit and finishing on the podium seven times.